Forklift Training, Los Angeles – Acquiring forklift training not only looks great on your resume, but it’s also an investment that can repay you over and over again. To achieve long terms success, though, it’s essential to train and be certified in more than one type of forklift, as hiring managers are on the hunt for forklift operators certified in multiple forklifts. Here’s the thing, companies need forklift operators. 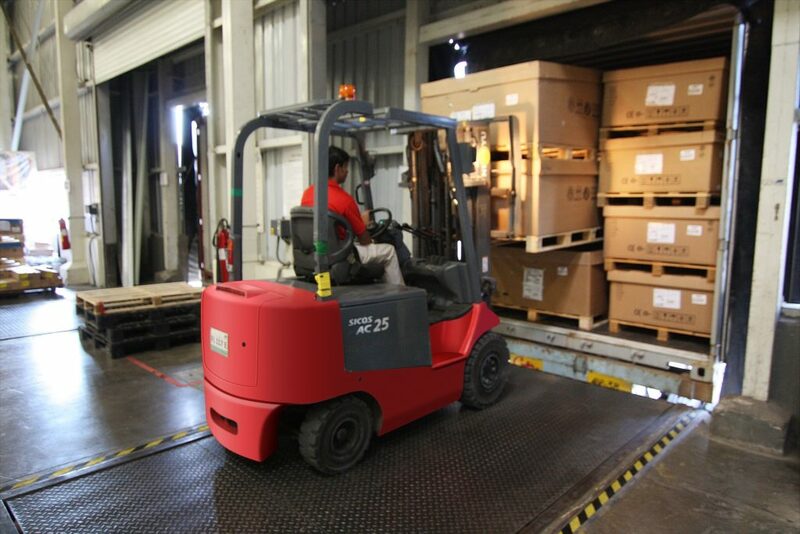 Forklifts are crucial for their business operations as they help efficiently move and lift products, material, and inventory. Without forklifts, as you can probably see, a business’s productivity can quickly diminish and potentially hurt the economy as a whole. However, there’s no one size fits all forklift. For example, while some are designed for tight spaces, others are designed to reach deep into racks and/or lift heavy objects. There are Sit-Down forklifts, Stand-Up forklifts, Reach forklifts, Order Pickers (aka Cherry Pickers), Clamps, Pallet Jack, and more. Accordingly, who do you think is a more valuable hiree: a licensed forklift operator in only one type of forklift or one with certifications in the various forklifts a particular company uses? If you answered the second of the two, you are right. Since these operators are more valuable and currently limited, a company is even willing to pay them more than those certified in only one. For example, since we offer job assistance to students, we come across lots of companies seeking licensed forklift operators. A common opening we see, is one for a licensed sit-down forklift operator at a pay rate of $12+ an hour. However, if the operator is trained in the order picker aka cherry picker as well, that offer jumps up to $15+ an hour. Simply by investing in one additional license, you are able to increase your pay rate to another level. Why such a difference? Well, again, companies prefer hiring forklift operators certified in all their equipment, as opposed to only one type. Earning your certification for additional types of forklifts will quickly increase your value and help you standout from your competition. The fact is, the industry is currently facing a shortage of forklift operators trained in the order picker / cherry picker, clamps, etc. They are in need of your services and are willing to pay a premium for it. This is why, if you are looking for more and higher paying job opportunities, with long-term professional growth, it is crucial that you obtain forklift training in as many forklifts as you can. Furthermore, operating a forklift can be just the start of your career. Professionally, you can grow into such paths as a shipping/receiving supervisor, warehouse supervisor, warehouse manager, distribution manager, operations manager, and more, many of which can lead to six figure salaries. Performance over time, value added benefits provided, and versatility are some of the prime factors considered in advancing from your current role to a supervisory and/or managerial position. Accordingly, a forklift operator with forklift training in various types of forklifts can be considered more appealing for a senior position compared to one who has not invested in their professional growth. As such, if you are looking to make more money and succeed quicker in the long-run, we can’t stress enough the importance of obtaining forklift training in more than just one type of forklift. Your investment will thank you with larger paychecks and career growth. To learn more about American Forklift’s forklift training in various types of forklifts, please contact us. We are located in Los Angeles County and are here to serve you on-site and off-site.